For some reason that's how I always always answer the phone. Even if I know exactly who's calling. It's weird, I know this. Ok people, I finally got a freaking internet connection. First item of business I need to address, is the new house. 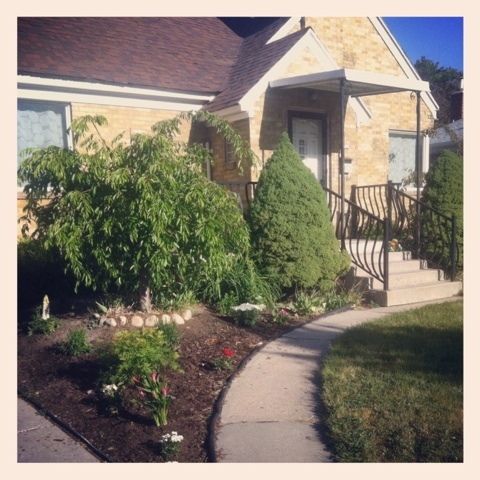 We just moved in this last week, and I am totally and utterly in love with it. Didn't you just say you loved those Steve Madden's you saw at Ross? Here is the walkway to our home & the front porch. One day we will be gettin' some seats to put outside so we can drink our lemonade & people watch. This is right by the entryway of the home, that opening to the right is the dining room. 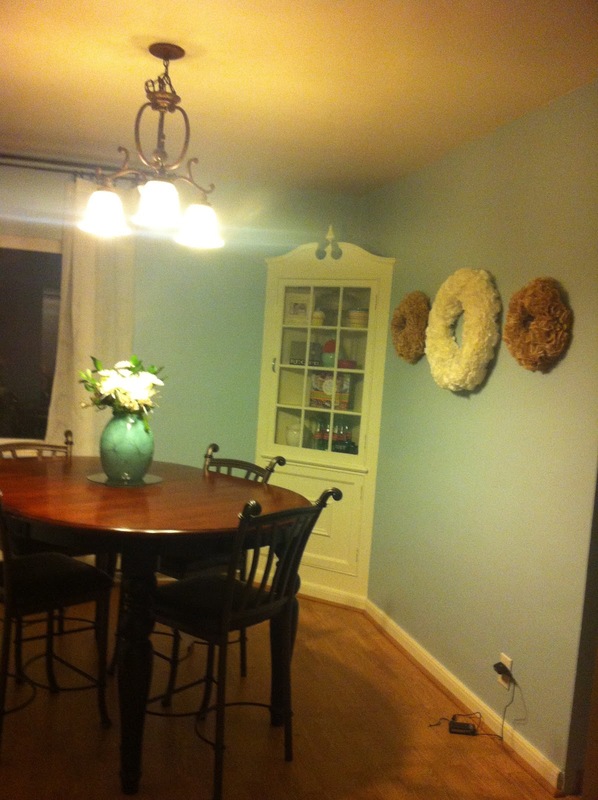 The dining room was originally a heinous red, so we painted it a light blue which totally complements the space, I'm extremely happy with it! 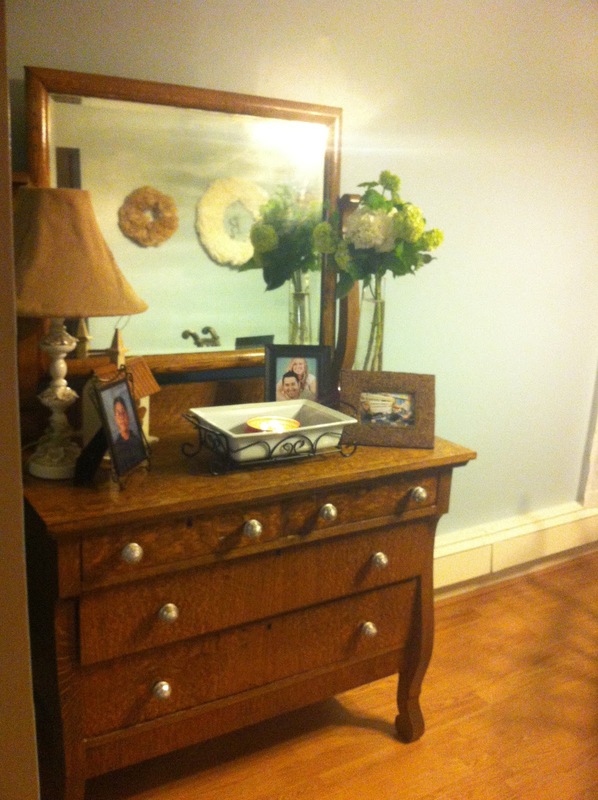 A piece of hand-me-down furniture that we dolled up with shiny new knobs from Hobby Lobby. 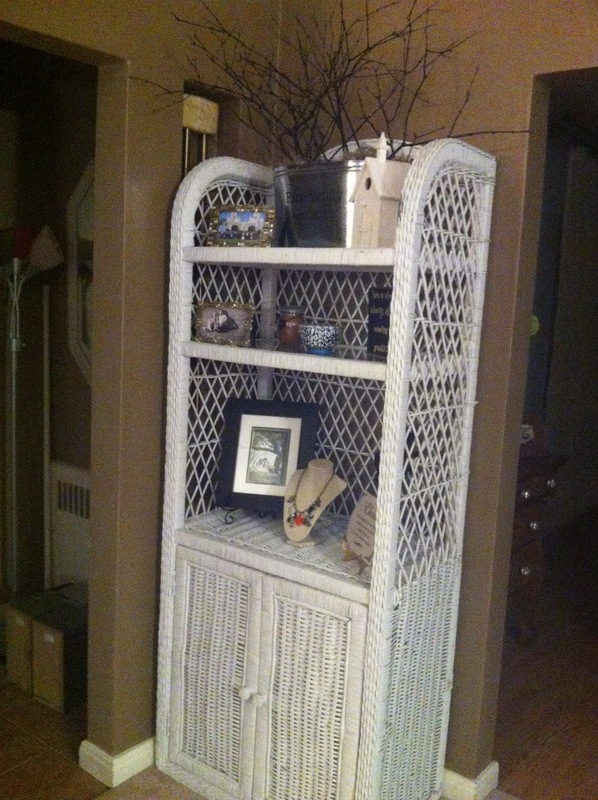 The entry way from the dining room, going into the kitchen. 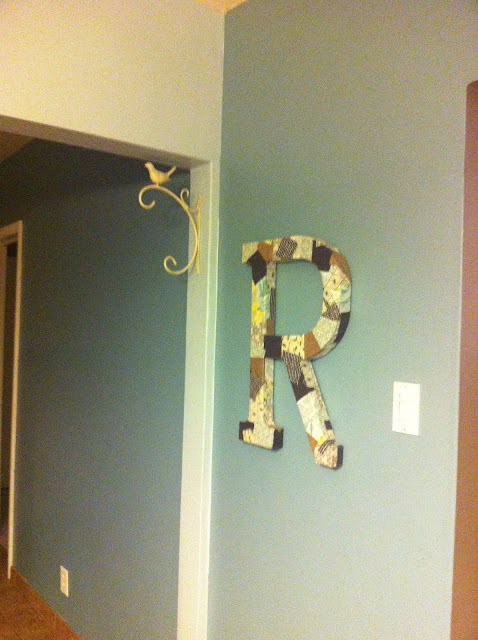 The "R" was a gift my creative cousin Zannie made me as a wedding present. That bird thing on the wall, my Mom & I found at a totally rando yard sale around the corner. Totally worth the 2 bucks! This hutch is built into the home, there is a similar spice cabinet built into a kitchen wall. I realize that I completely missed pictures of our: backyard, bedroom, office, bathroom, and kitchen. And yes. That is pretty much half the house. I promise some better pics of those soon! Well kids, it's time for bed. 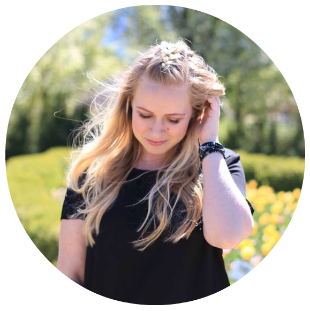 I have so much to share with you all! Work, more home decor pics, stories, my new smile, more outfits. This Saturday is my first day at Francesca's and I can't wait to share my "First Day of Work" outfit with you all! I still do "First Day of School" pictures too. Your house is so pretty! I love the reading nook! I love your dining room. 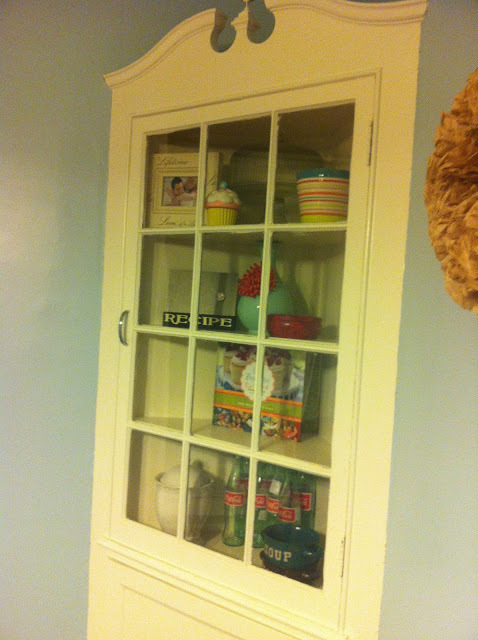 Built ins make my heart flutter lol!! Your house is absolutely adorable and I can't wait to see the rest of it! Congrats on the new place, it's lovely!